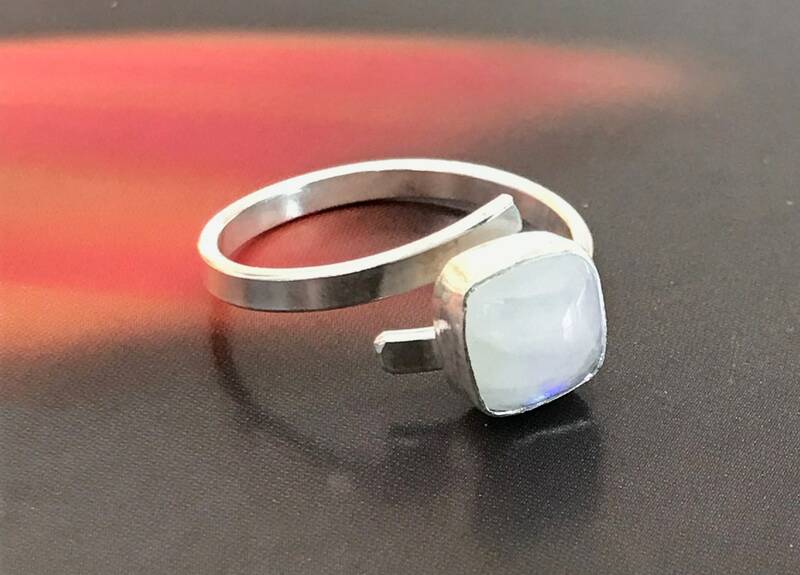 Sterling Silver fully adjustable ring set with a beautiful and unusual square Rainbow Moonstone Stone. 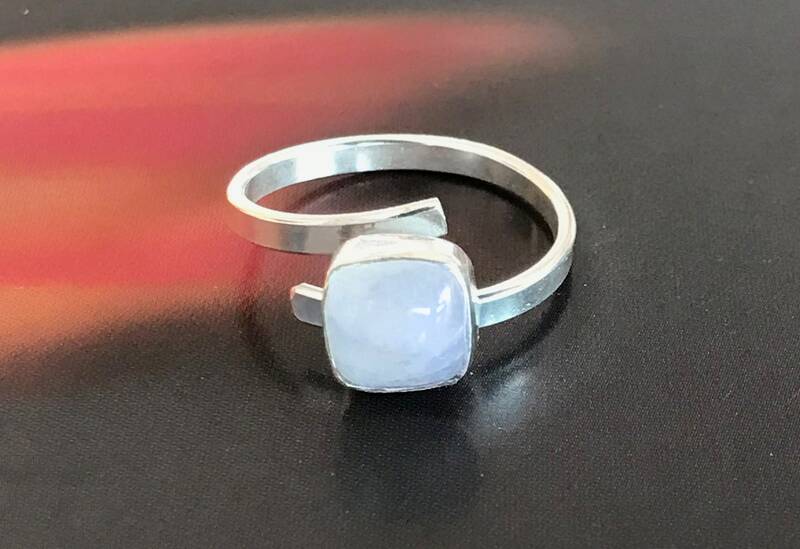 Unfortunately, the photograph doesn't capture the beautiful lustre and iridescence of this stone which sets off little flashes of colour as it catches the light.Stone measures 8 x 8mm. 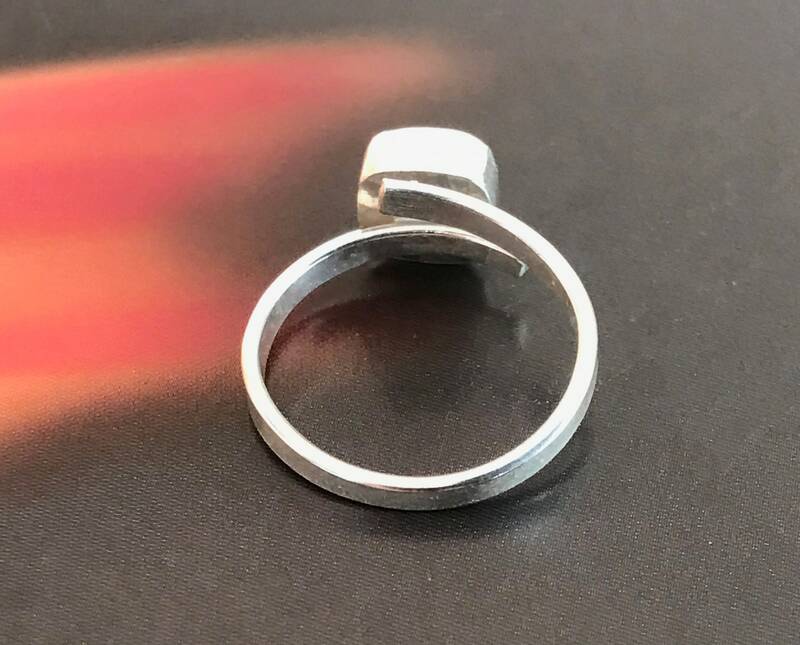 Band width is 3mm.